Beautiful top level townhouse-style condo located at one of the quietest locations in downtown Celebration. Carlyle Condos, built by ISSA Homes, feature insulated concrete block and steel construction with metal roof for enhanced strength and durability. Lakeside Park (tennis, basketball, playground, heated swimming) is nearby. Plantation shutters & crown molding throughout provide exceptional interior trim detail. First level includes flex space with pocket doors that can be used as an office, separate dining or formal living room. Kitchen, with granite counters and stainless appliances, is open to the dining and living areas and includes a breakfast bar. Generous kitchen cabinetry features 42" upper cabinets. Giant walk-in pantry provides plenty of storage. Living area opens to a beautiful covered balcony. Half-bath and large entry closet are off the foyer. The master suite is located on the second level and has a huge walk-in closet and private balcony. The master bath includes a large soaking tub, double sinks and separate shower area. Secondary bedrooms share a large full bath on the opposite end of the hall. The laundry area is conveniently located near bedrooms. Easy access to both elevator and stairs from the front door, and a dedicated one-car garage is directly below the unit. 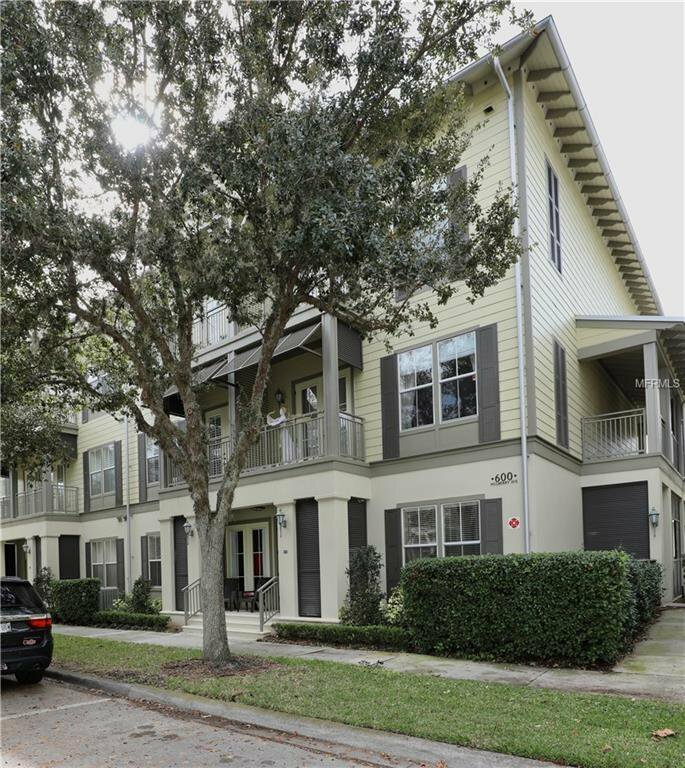 This condo has been meticulously maintained and is located in the heart of the Celebration Town Center, minutes from Disney World and the Orlando International airport. Listing courtesy of ZIRO REALTY. Selling Office: TALENT REALTY SOLUTIONS.